A Handmade Hanging Crystal. 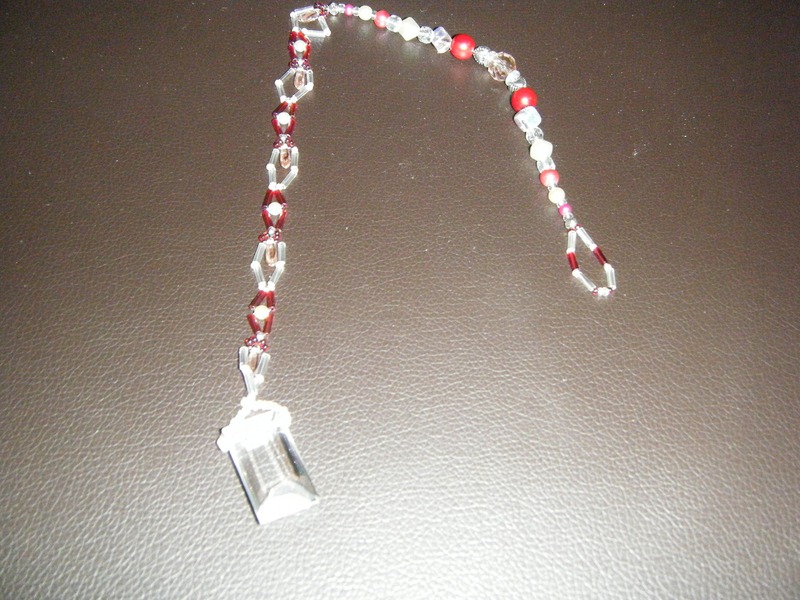 Made With Various Glass Beads And Crystals. Length Is 37.5cm long. Colour Scheme Is Red Pink White And Clear.